Do you ever have difficulty transporting your sports team to and from games? Fitting an entire roster with coaching and training staff into one vehicle can be difficult when you’re ready to hit the road. Texas Charter Bus Company easily mitigates any problems you may have previously had. We work with both ameteur and professional sports teams, offering clean, spacious transportation solutions for intimate riding experiences. No matter how large or small your team may be, we can find a motorcoach that is perfect for you. Call us today at 281-383-9491 to learn more about how we can assist you. If your team has a lot of equipment that requires efficient, safe transport, we can handle that too. Upon reservation, you’re able to request additional storage space for uniforms, pads, coaches’ gear, training supplies, and much more. With all of the other things you have to worry about on game day, the status and location of your equipment needn’t be one of them. Give yourself some peace of mind and keep your team’s supplies right beside you in a storage bin. Texas is home to some of the biggest and most prestigious sports teams in the nation. For large teams--such as high school football rosters and baseball clubs-- a 56-passenger charter bus rental often accommodates their needs. Smaller basketball and hockey teams fit comfortably in an 18-passenger minibuses. Your team performs its best when they’re well-rested and rejuvenated. Trust Texas Charter Bus Company to make sure your ride is smooth and enjoyable for everyone in your group. 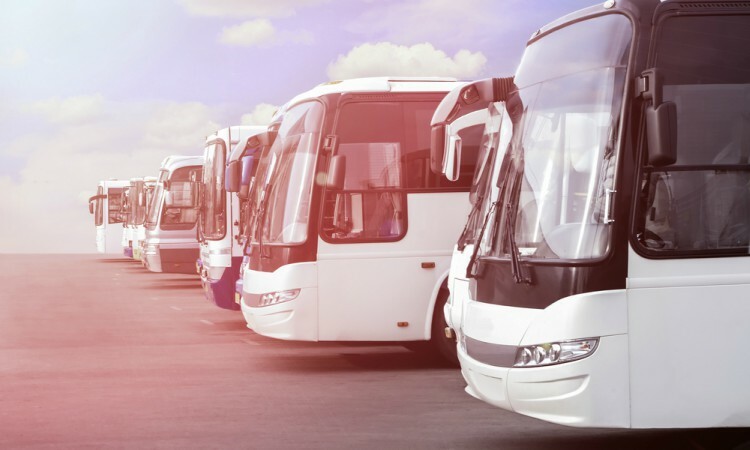 Booking a motorcoach means more than just having a ride to and from a game. You and your team are given access to a private shuttle that takes you anywhere you want to go along the way. Take a step beyond the arena and tour your destination city, like Houston, Austin, San Antonio, or Dallas, with your whole squad. The hours leading up to gametime can be stressful. Your players and coaching staff have a lot on their minds, and the commute to the competition may be tense. Maximize your team’s relaxation and comfort by requesting premium amenities such as reclining seats, air conditioning, flat-screen TVs, DVD players, restrooms, and even WiFi. Give your players the time and space they need to relax as they watch their favorite shows, take a nap, or surf the web during the trip. You don’t have to be an athlete to ride on your very own private coach. Fans and team family members rely on Texas Charter Bus Company’s cutting-edge transportation solutions to get them safely to each game and tournament. Distance is no longer an excuse not to support your favorite team; reserve a bus and hit the road today. For fans that love to tailgate, private coaches are built with enough room for food, drinks, grills, ice buckets, and anything else you may need. Whether you use the overhead bins or undercarriage compartments, you’ll love how simple we make it to pack your essential game day supplies. Texas Charter Bus Company simplifies game day transportation for teams, coaching staff members, and fan groups of every size. Put your trip in the hands of trusted professionals and book a private motorcoach today by calling 281-383-9491. Our 24/7 reservation specialists are excited to hear about your upcoming trip and provide you with a no-obligation quote.